As it’s 25th October, just two months until Christmas , I hope you don’t mind me mentioning that word. DVDs make great presents and may be helpful for those planning next year’s holiday, remembering past holidays, or seeing places you’re never likely to cruise to. Armchair boating on sunny days is great when it’s cold outside. Maps are great for planning too, with our England & Wales Maps covering your cruise wherever you travel on the connected waterways. 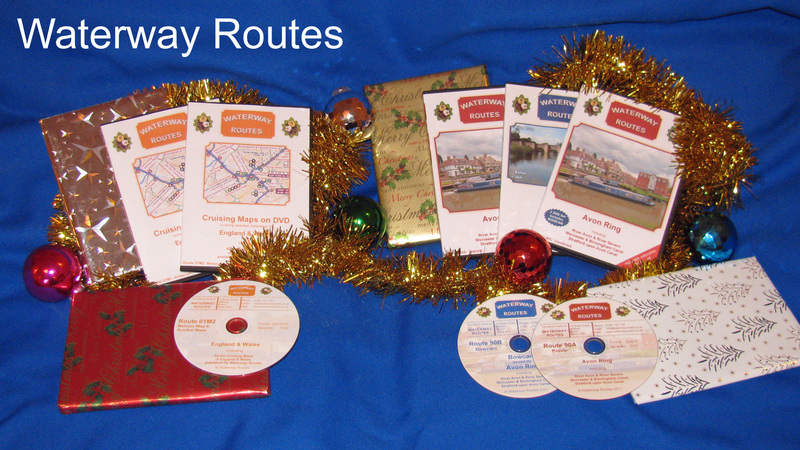 All the maps are available on CD which can be wrapped as a present, as well as by download for those who like their maps quickly. This entry was posted in Christmas by Paul. Bookmark the permalink.